Ambition: To positively affect as many other people as possible by pursuing a career in the charity sector, sustainable development or humanitarian aid. I have volunteered with numerous organisations over the years, but the most significant for me have been Barretstown and Global Brigades. With Barretstown I have also volunteered with their Bereavement Programme, their Hospital Outreach programme and Camp in Schools Programme. 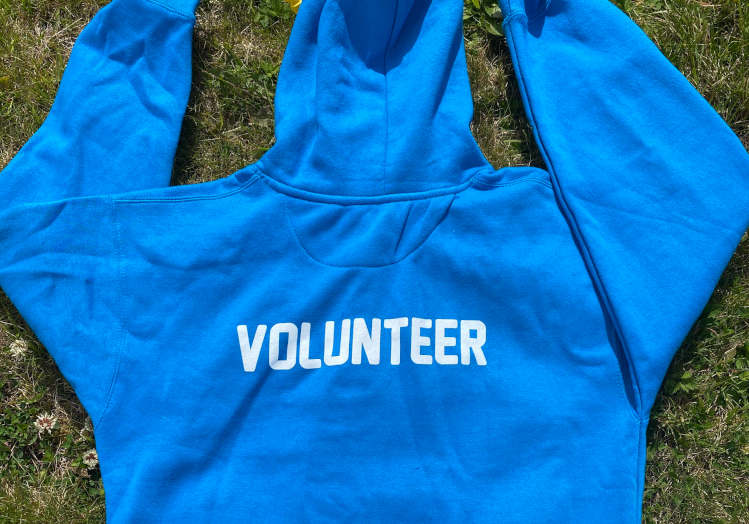 I don’t have any interesting stories about how I got involved in volunteering, it’s just something I’ve always had an interest in, or that I was just naturally attracted to. 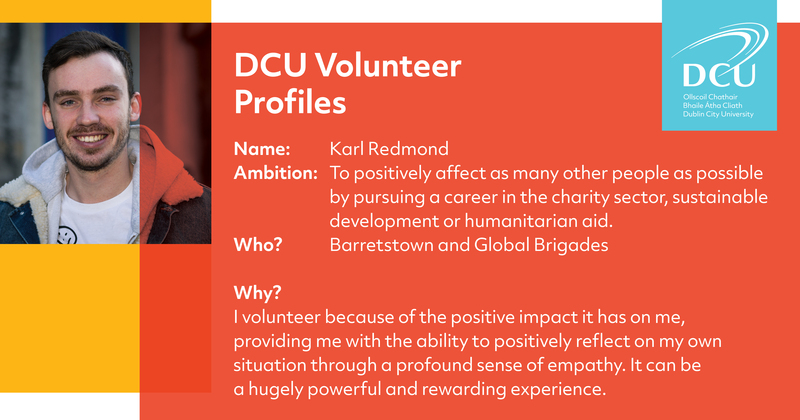 Volunteering with Barretstown was just a matter of a friend linking me to their website as something interesting to do, and after checking out the website I was sold. I took the leap by signing up immediately, and it has become one of the most important parts of my life over the last five years, providing me with many life changing experiences. I volunteer because of the positive impact it has on me, providing me with the ability to positively reflect on my own situation through a profound sense of empathy. It can be a hugely powerful and rewarding experience. Barretstown is also an extremely fun and positive atmosphere, once you volunteer for the first time, you won’t want to stop going. It is far too difficult to narrow down any one single best memory. With Barretstown, I have had so many unforgettable moments over the years. I think that the various times in which the children or teenagers actually tell you just how much of a positive impact you or the camp has had on them is pretty special. This summer, one of my Spanish teenagers told me towards the end of the camp that for the first time he felt like he did before he got cancer. Just one of many amazing memories. I’ve always wanted to travel through all of Latin America, visit every country, and hopefully live and work with a sustainable development organistaion in the region.